We are currently looking for Distribution Partners and Advertising Partners that have a passion for solving charging needs and advertising needs for and within Restaurants, Hospitality Venues, Hotels and Advertisers alike. This is a WIN/WIN/WIN product for venues, customers and advertisers alike! Thus… getting 2 Birds with One-Stone! 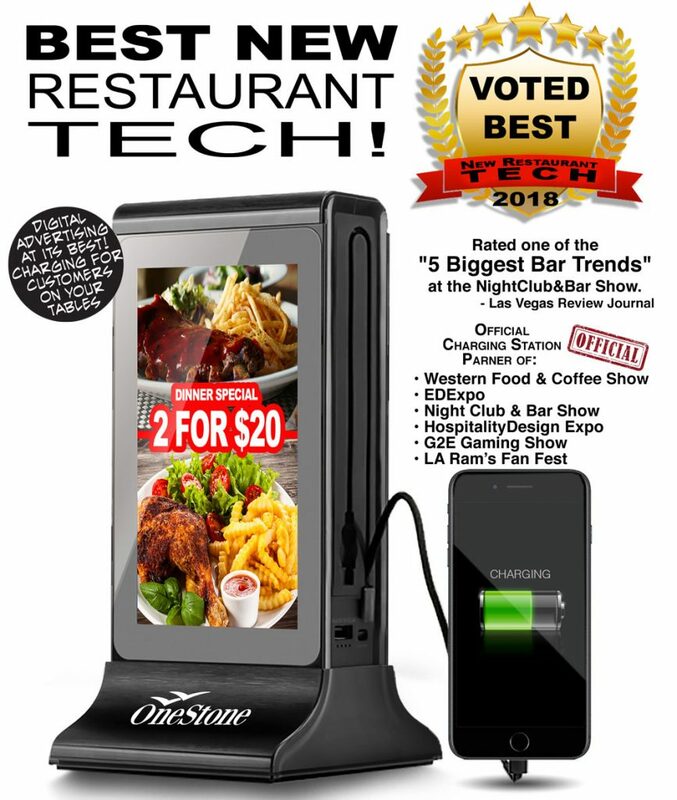 Lets discuss how we can bring an awesome solution to local restaurants, coffee houses, bars, hotels, & entertainment venues. Let us know how you think you fit with the OneStone Family.